View at Cape Point, South Africa. 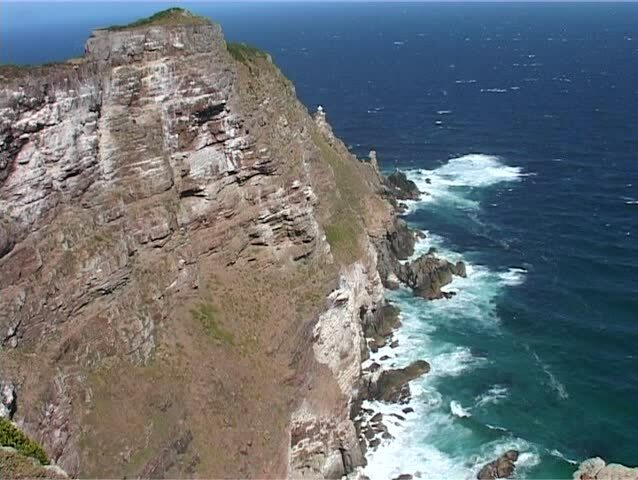 This is the promontory at the southern corner of the Cape Peninsula and looks out over the Cape of Good Hope. 4k00:23Tide pool, volcanic rocky shore close up, nature created bowl, waves, sea water with beautiful aquamarine colour. Round pothole from rough basalt, water inside. Marine deposits on the rock surface.